I’m on a (junk) boat! 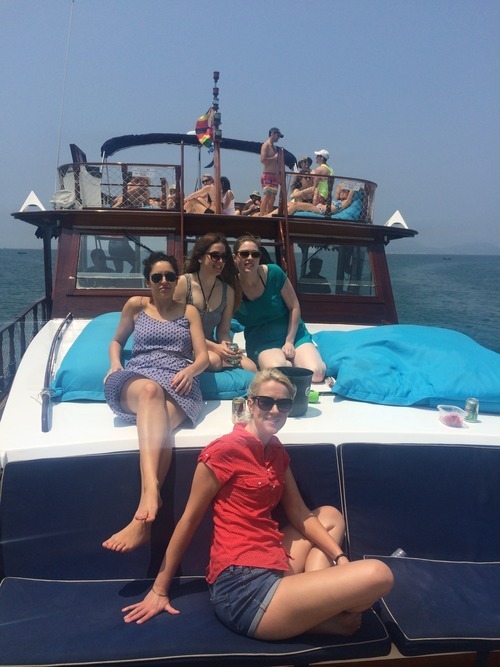 So yesterday we went on our first junk boat party, and it couldn’t have been a more beautiful sunny day. This is definitely my new favourite treat and fun thing to do in Hong Kong. NOTE TO ANYONE COMING TO VISIT: You will be doing this with us at some point not just because you’ll have fun but because I can use you as my excuse to indulge. Admittedly it was rather drunken, but not too crazy that I didn’t have time to also drink in the beautiful landscapes and deep blue sea. All in all there were around twenty of us aboard the boat. 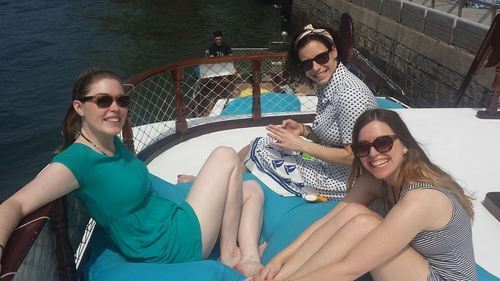 We’d each paid around $600 which is just over forty five quid, and considering everything included in the day trip, was a pretty good price – a manned boat for seven hours, a free flow of drinks (not just beer and soft drink people – GIN!!) and a delicious seafood lunch. Perfect. We set off from the pier in Aberdeen (yes Aberdeen – I haven’t absconded to Scotland) at around 10:30am. This had been quite an effort to get up in time and get there, truth be told. I was still recovering from this horrific virus I had, as was Joe, and waking up at 8am-ish on Saturday didn’t at the time seem like the most fun way to start the weekend. But it was worth it. 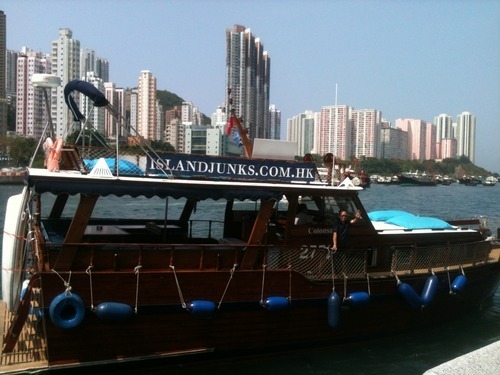 The boat sailed out of the port past this huge and very famous floating restaurant called Jumbo. The sheer size of this place floating on the water! Take the most grotesque house boats in say Chelsea Embankment and times the size by like twenty and maybe add a harsh dose of shabby chic (well maybe not chic – shabby rustic?!) and you have the Jumbo. I’m told that the food there is really great and that it should be on our “to at list”. So one day I’ll return – from the front. 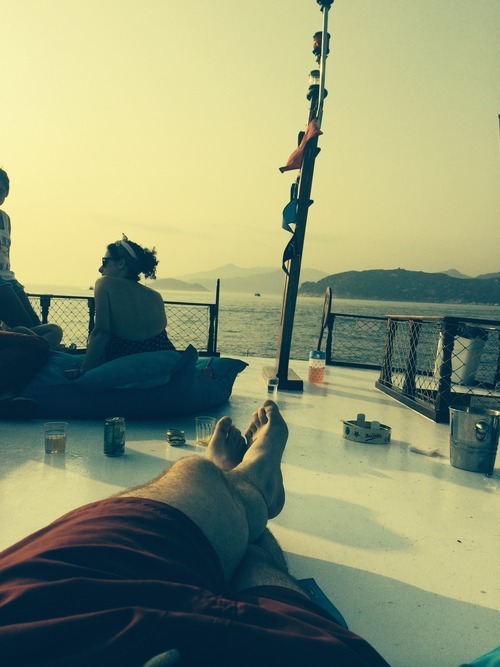 We sailed out and past HK Island south side –Repulse Bay and Stanley in the distance. 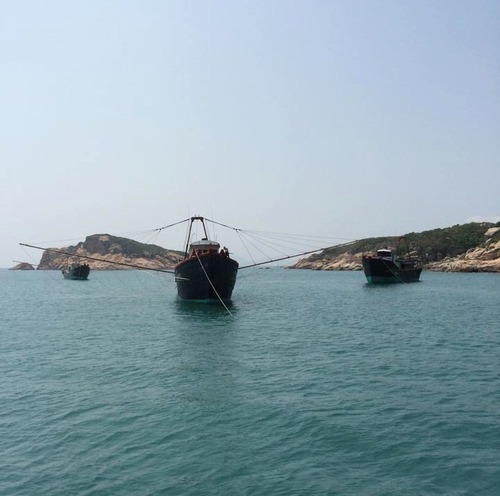 We headed straight to Po Toi, a cluster of islands of the same name. They are also the most southerly point of Hong Kong. We stopped in the cove just outside the main public pier and the high jinx began… Anchor down, music playing, sipping ice cold beers and soaking up the sun on the deck, a little taster of what was to be the most perfect day. Lunch was early and we ended up evacuating the boat at around about midday. We walked on a small trail to the most gorgeous seafood restaurant called Ming Kee. A collection of old buildings at the back of a very modest beach, huge round tables of delicacies waited for us. We ate fresh prawns, fried squid, clams, scallops and beautifully steamed white fish. I couldn’t get enough, in fact when everyone was heading back to the boat I was racing myself to eat as much as I could before the boat sailed off again! Delicious. Guys, you know I could eat for England and Greece. Once we were back on the boat, actually I haven’t mentioned the name of our boat have I? It was called Colonsay, which is a bit of a strange name. Obviously I just think of colons, which doesn’t quite go with the paradise and beauty I was seeing!! But since having a quick google I’ve found out it is the name of a Scottish Island near Mull, off the west coast. The name derives from Norse and apparently means Columba’s Island. So there you go. Nothing to do with poo. At all. And there was no poo to be seen. I digress! We headed to the other side on the island and anchored the boat in another beautiful little cove. 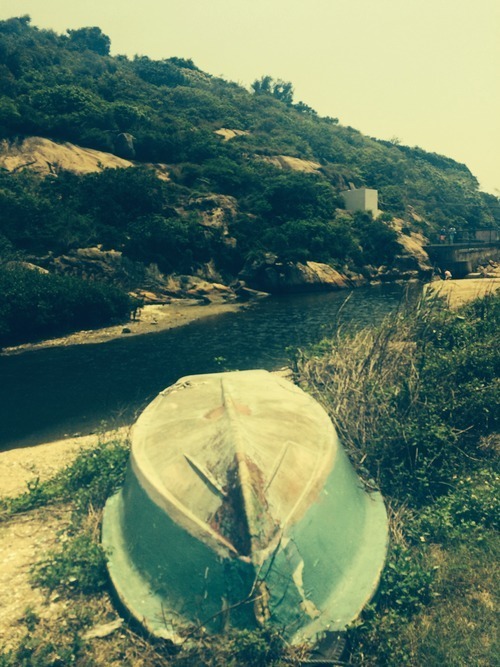 I was surprised that we were only one of two junk boats that had docked there – seeing as we’d spotted plenty more on our travels, especially when at the seafood restaurant. 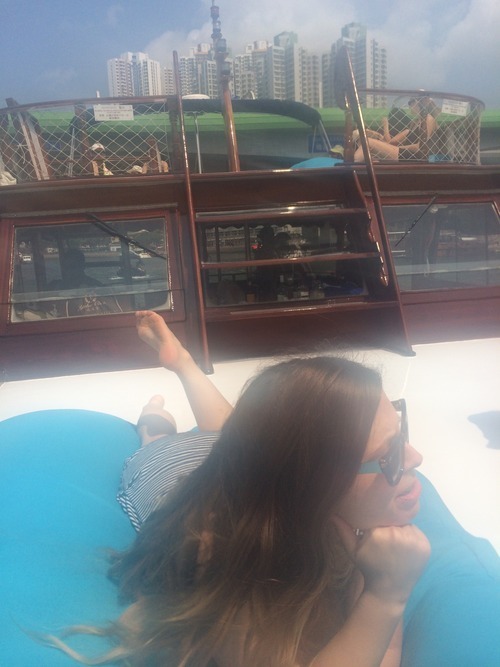 We spent the rest of the day lounging on the boat, drinking chatting and having a lot of fun. Lots of people were diving off the top deck into the sea, which I did kind of want to do but I’m too much of a wuss. Also since I’ve been here, after my initial weight loss there has been a slight weight gain, which means that the only bikinis I brought with me are a tad too small. It was bad enough I was wearing a bikini in front of a bunch of new people I hardly knew, I was not about to lose part of it in the sea in front of them!! Can I just take a moment to say how much I was freaking out about getting my pasty wobbly bits out? All week I kept thinking that I’d have time to buy a one piece that fit but I just didn’t have the time and in the end braved the whole, I’m wearing a bikini that’s too small and could potentially go see through because it is old in front of new people. So I opted for the delicate dive off the back of the boat instead (note I still had to ‘readjust’ under the cover of the sea!). Sea was delish, it was cold but not as devastatingly cold as the other times we’ve have sauntered to the beach. I decided to swim ashore to the secluded beach we could see from the boat, I was just thinking about how I could’ve done with taking some drink along with me when Natalie and Sarah parked on the shore alongside me in a kayak, with a few beverages to enjoy! Get in. And that my dears, is how most of the day played out. Apparently there are lots of walks you can take on the island, and that there are a lot of strangely names rock formations along to way, Bhudda Hand Rock being one example. So maybe next time we’ll go for a bit of a walk instead of just drinking, sunning and partying. Oh and a bit of swimming – don’t want it to sound like I was totally lazy. I had such a great time. 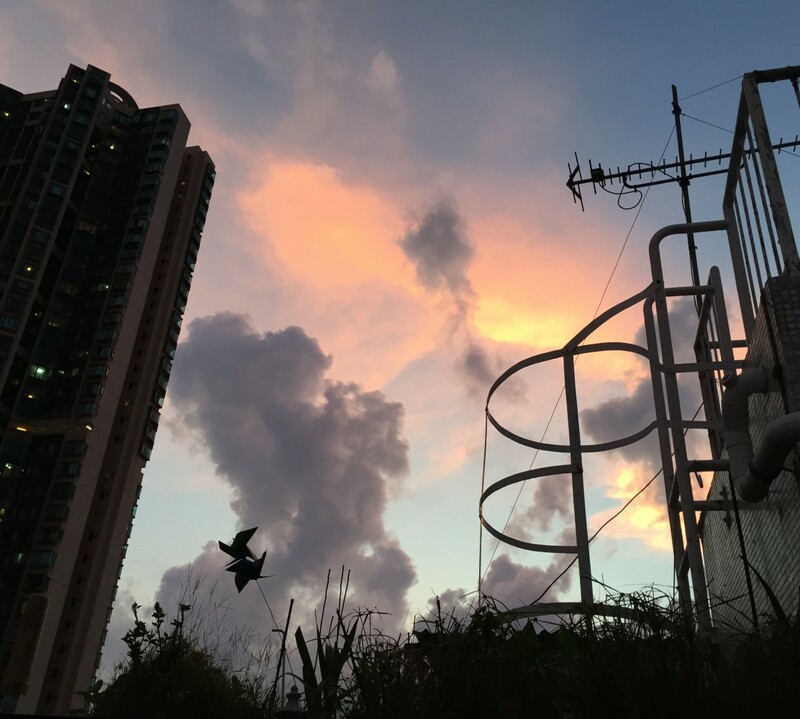 Sometimes I struggle with everyday life here in Hong Kong, not because it is hard but it isn’t easy just fitting in and having the same things around that you’ve been used to your whole life. Having good company is so important, and being able to socialise with a fun bunch of like-minded people raises my mood so much. It makes the other things I worry about not seem as important somehow and cancels it out. I guess it comes down to me being quite a sociable person and generally not being very good on my own! 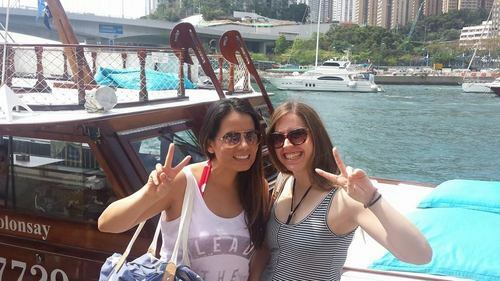 But on Saturday I was really grateful not just for the trip and the opportunity to see some more of Hong Kong but also to just be, and hang out with new friends. If there can always be an element of this I can definitely continue to be pretty happy here!